Efforts for the dissemination of the our project are ongoing. 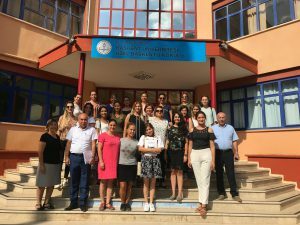 In this context, a seminar on the content of the project was given to pre-school teachers in Adana Başkent Schools on 6-7 September 2018. The guidebook and activity handbook, which are the outputs of the project, were introduced to the teachers. Teachers can use the web page, which is another output of the project, and access books from this platform.